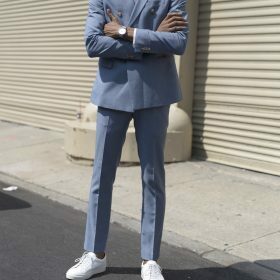 When it comes to formal events, working in an office or just looking to dress a little more fancy, the suit is a guys best friend. Sleek and sophisticated, the two or three piece suit should be the pride of any man's wardrobe. In this category you can find a huge range of suits, suit jackets and more from some of the most well known brands. Not sure exactly what you are looking for yet? Browse the category to find the best suits or use the filters to find what you are looking for.